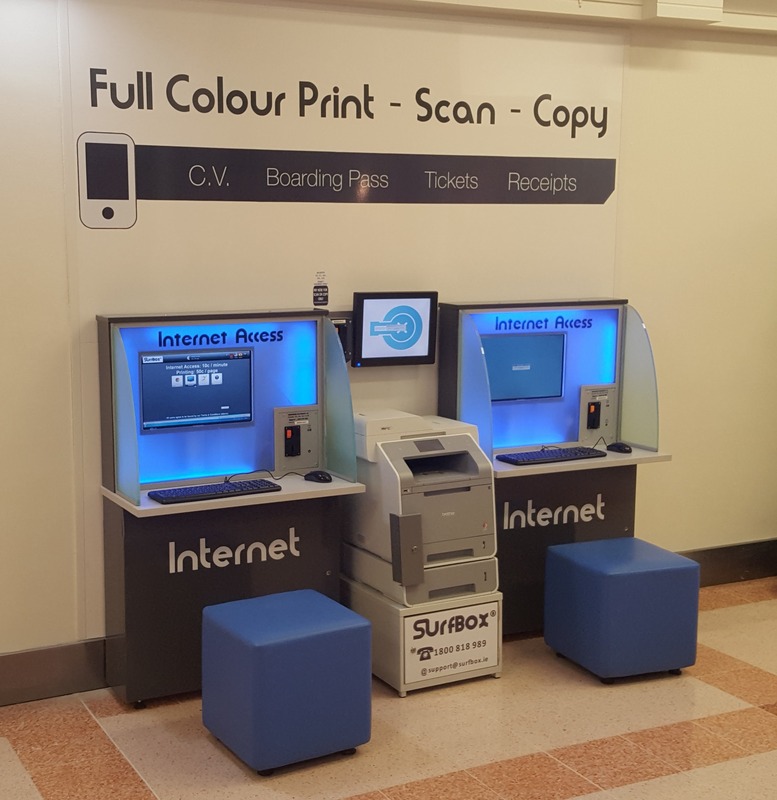 Self Service “Pay as you go” Colour Printing, Photocopy & Scan now available at The Merrion Shopping Centre, Ballsbridge, Dublin. You now can Print, Photocopy or Scan your documents to email, at the SurfBox kiosk. It’s a full Colour Printer, so you can print from one of the PCs in Colour or Black-White. And of course it’s self-service, so you can use the service anytime during the Centre Opening Hours.